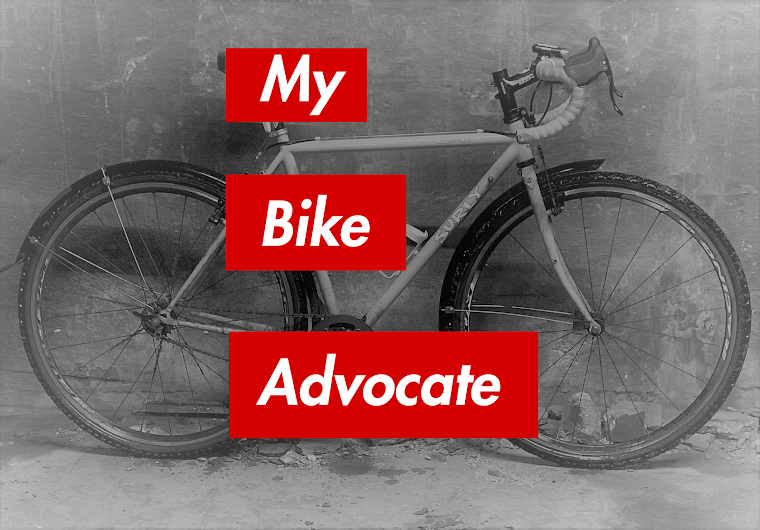 My Bike Advocate: WGN Radio | Just How Can Chicago Bicyclists & Motorists Co-Exist In Peace? WGN Radio | Just How Can Chicago Bicyclists & Motorists Co-Exist In Peace? On Monday night I was invited onto the Turi Ryder Show on WGN Radio to talk about the Illinois Department of Transportation's recent decision to bar additional protected bicycle lanes in Chicago and to debate how cyclists and motorist may learn to get along. "I'm afraid I'll kill one [a bicyclist] accidentally and I try as much as possible to get them off the street". Okay... And just how do you do that, Turi Ryder? Yeah, I know. My feeling at the time was that she was trying to play devil's advocate. I didn't get the sense that her comments were vitriolic (like you know who). Very strange interview. At times she was playing dumb (which is annoying to listen to). At times she was demonstrating clear understanding of the issues. She also abruptly switched back and forth between being serious and being flippant. A good example was when she brought up ninja cyclists. This is a serious issue because it is so dangerous. She had the opportunity to explore reasonable ways to address this problem: public awareness campaign, light giveaways for poorer cyclists, real discussion of conspicuity. Instead she launched into a rant proposing motorists be allowed to spray them with fluorescent paint. It wasn't even decent humor. I started to wonder if she was afraid her audience would change the channel if she let an informative discussion develop.